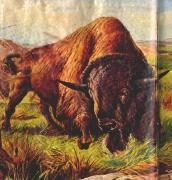 This is “Phantom”, The Bison "Antiquus" which is now extinct. 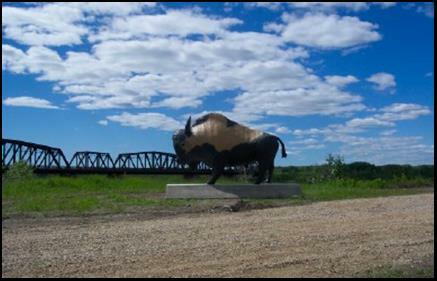 It lived a couple thousand years ago and was a predecessor of the bison you see today. The remains of these animals , plus many other artifacts have been found at an archaeological site just east of the Village of St. Louis. A Historical Park to mark this archaeological find is currently under construction within the Village of St. Louis, along the Riverbank, just east of the St. Louis Bridge on Highway No. 2.